The world’s brightest stars gather in South Africa to celebrate a legend. The Global Citizen Festival made its way to South Africa to celebrate what would have been Nelson Mandela’s 100th birthday yesterday, December 2. And some of the biggest celebrities in the world appeared at Global Citizen Mandela 100, which aimed to help fulfill the former president’s vision of ending extreme poverty. Beyoncé and Jay-Z performed some of their biggest hits, as did Chris Martin, Ed Sheeran, and Pharrell. Models like Naomi Campbell and actors like Danai Gurira were also on hand to raise awareness. Click through the gallery to see all the photos. 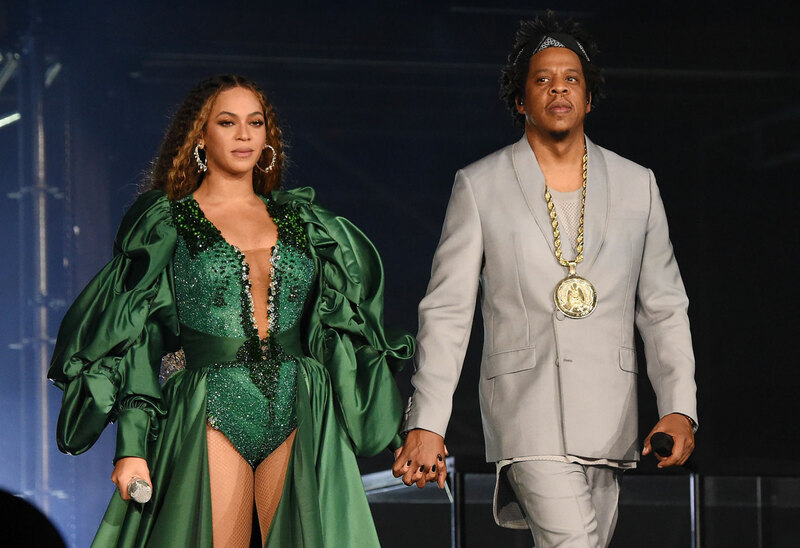 Beyoncé, 37, and Jay-Z, 48, brought some of their OTR II tour magic to South Africa. The “Halo” singer had multiple costume changes. The looks included this pastel rainbow of jumpsuits with matching hats. Her mom Tina Lawson shared on Instagram that this dressed used 100,000 African beads. Jay also rocked some colorful fashions, like this magenta suit. Ed, 27, kept his look much more casual in a tee shirt and jeans. He performed his “Perfect Duet” with Beyoncé. Coldplay singer Chris, 41, performed with Pharrell, 45. The “Get Lucky” singer got some trolling online for his dad outfit, complete with khaki shorts. Pharrell also performed “Nice” with Jay and Bey from their 2018 album Everything Is Love. Backstage, Pharrell posed with Naomi, 48, who brought her own costume changes for the event. There was this sleek color-blocked look. The supermodel also stunned in this white dress with a traditional head wrap. Naomi also wore this flowing, black embroidered dress. She gave an electrifying speech about the need to rise up and change the world. “If not now, when?” she told the crowd. Usher rocked out in a white suit with no shirt underneath. Eventually his jacket came off, giving everyone a perfect view of his abs. Country star Kacey Musgraves also performed some of the hits from her album Golden Hour. The Daily Show host Trevor Noah was also on hand for the concert. He’s from South Africa and has spoken often about growing up mixed race under apartheid. Gayle King and Dave Chapelle were also on hand for the charity concert. The concertgoers won their tickets because of charity work and organizing they did. Danai, 40, presented with producer Tyler Perry. The Black Panther star also wore this stunning yellow dress. What were your favorite moments from Global Citizen Mandela 100? Sound off in the comments!